A great way to get extra flavor into any dish is by infusing its ingredients with spices, herbs, or other complimentary ingredients. I really enjoy honey and often use it in place of sugar for my sweeteners. With a couple days to spare between deciding my dish and needing to prepare it I decide to try another infused honey. I have infused honey before with chilies as I love hot honey on anything fried and especially biscuits! Orange and strawberries are a classic combination so I thought I would give orange vanilla infused honey a try. I knew that I wanted to use dried orange peel as I am not sure if the undried zest would mold in the honey and that wasn’t a risk I was willing to take as you all know how expensive and precious honey is! After adding the dried peel and a split vanilla bean I set the honey covered in my pantry for two days. After straining out the zest/vanilla bean you are left with a beautiful bright vanilla orange honey. Please do strain the honey as I tried a bit unstrained and the zest made it very bitter. 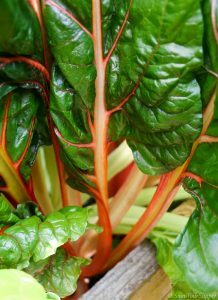 Since making this we have used it on pancakes, in smoothies, and mixed with butter for biscuits. I can’t speak to its shelve stability long term because ours is already gone! 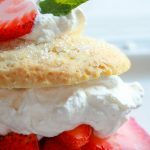 When added to your strawberries for this shortcake the infused honey brings your everyday shortcake to next level tasty! I have been making a variation of these biscuits for as long as I can remember. Ready in 15 minutes flat there really is no reason for me not to make them. Different variations I make with dried jalapeno for my biscuits and gravy, black peppered to serve with fried chicken, and cheddar to pack in my children’s lunches along with their favorite ham. Before I had each one of my children I made 6 dozen of these babies for the freezer and was always happy to tuck into something freshly baked when I could barely remember my name from the sleepless nights! You can make these biscuits up until you cut them out and place them on a baking sheet in the freezer. Once they are individually frozen add them to a freezer bag so that they take up less room. You will bake them from frozen so be sure to had some time on to the baking time. Split vanilla bean length wise and remove the seeds. 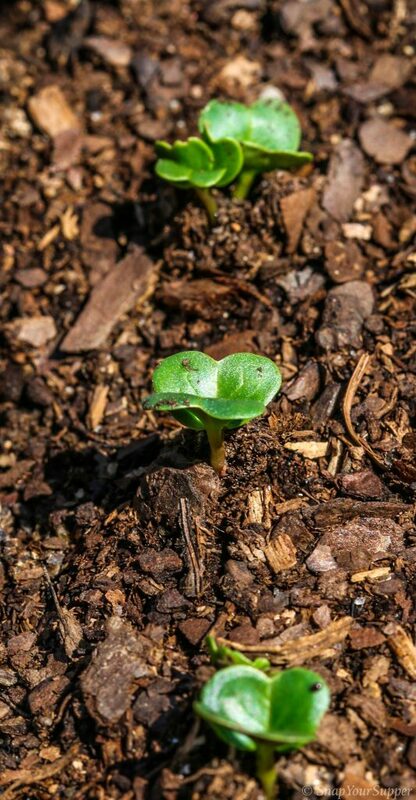 Add seeds and pod to a glass jar with a lid along with the honey and orange peel. Close lid and store for 2 days. In medium sized bowl add strawberries, orange zest and orange juice. Strain infused honey and add 1/4 cup to the strawberries and stir. Reserve remaining honey for another use. 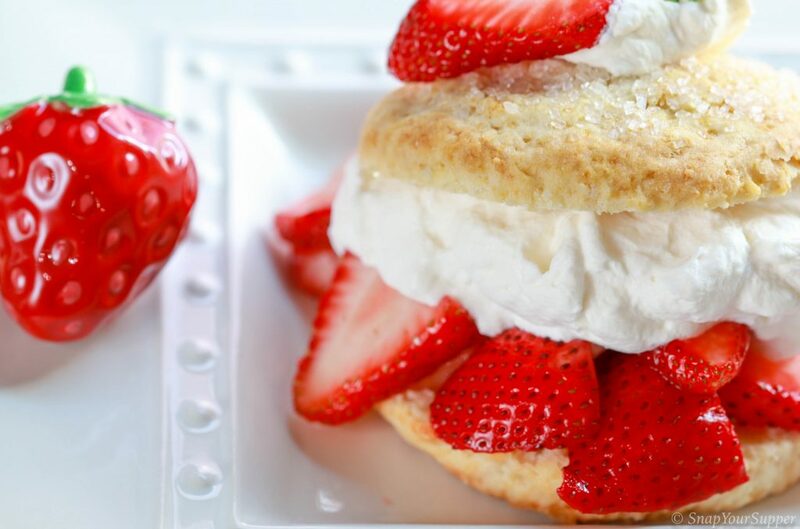 Cover strawberries and set aside while you make the biscuits. In large mixing bowl sift together flour, salt, baking powder and sugar. In separate medium sized bowl stir together lemon extract, vanilla, and heavy cream. Add liquid ingredients to dry ingredients and stir with a wooden spoon unit the liquid is absorbed. Turn out dough on to a lightly floured surface. Turn dough once to bring it together and then pat into a circle shape 1/2 inch thick. Do not knead the dough or you will be in for some tough biscuits! Using a 3 inch biscuit cutter cut out 6 biscuits and place on lined baking sheet. Brush the tops with melted butter and sprinkle with sanding sugar. Bake for 12-13 minutes. Remove from oven and allow to cool. Add cold whipped cream and vanilla to a medium sized mixing bowl. Beat with a whisk or mixer on medium speed until cream is whipped, about 5-6 minutes. Split biscuits in half with a serrated knife. Place bottom half on each plate and top with strawberries followed by whipped cream. 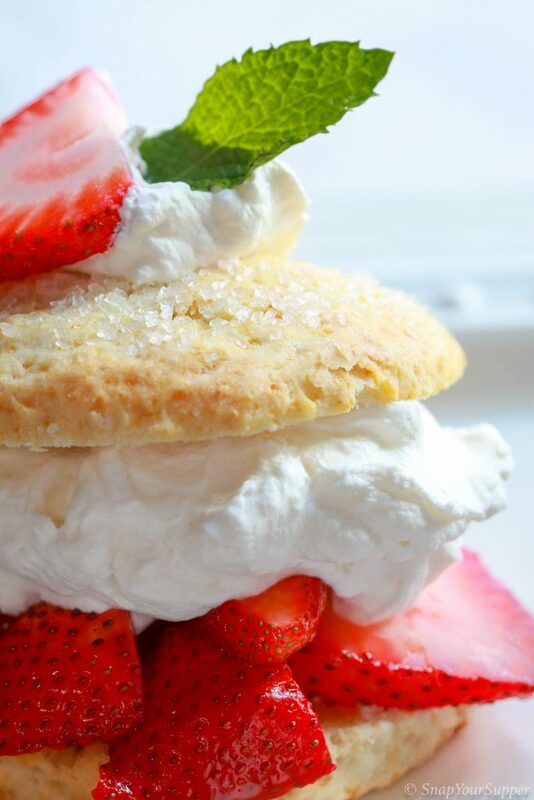 Place top half of biscuit on top and finish with additional whipped cream and a few strawberries. Serve immediately. I have only tested this recipe with dried orange peel and cannot verify the results of fresh. 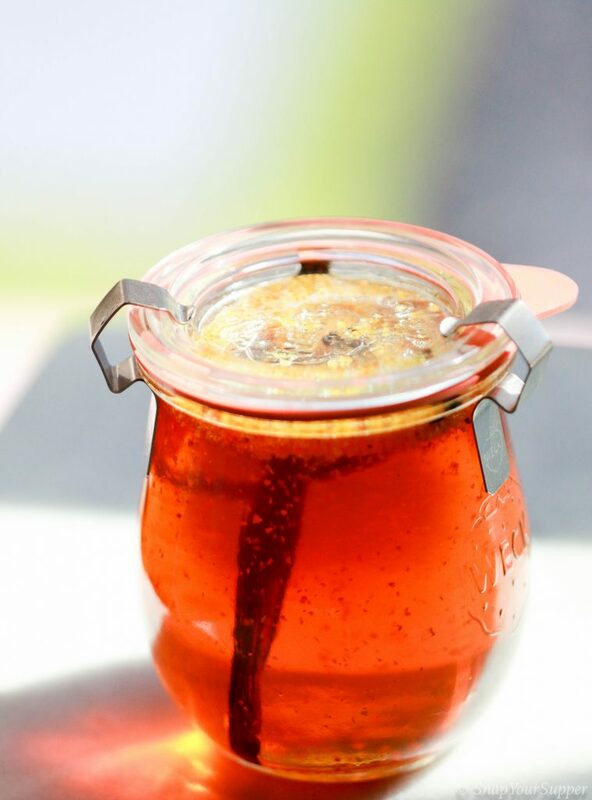 You have to be careful using fresh ingredients to infuse your honey as they may mold. 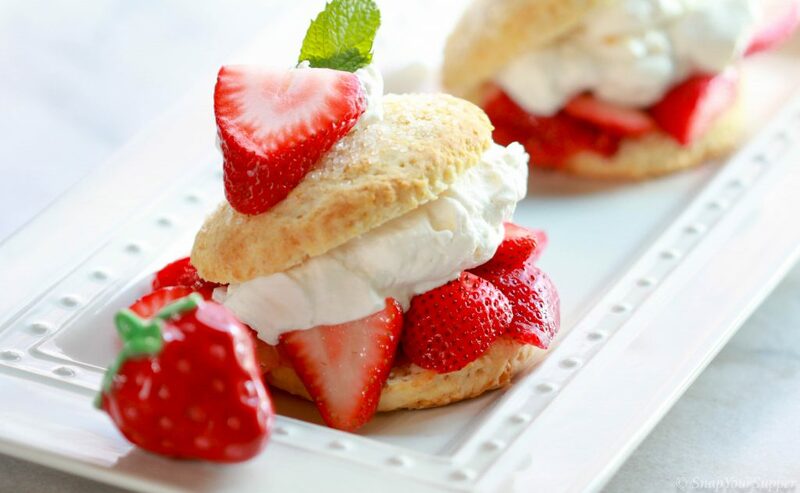 I always strain my strawberries for shortcake as I don't like soggy biscuits but some people love it! Biscuits are best the day they are made and tend to get stale quickly. If you need to make ahead cut out biscuit dough and pop in the freezer unbaked. Proceed with the recipe as written baking from frozen but this will had a few minutes to your baking time.